Can SIP Be Regarded As A Safe Investment Plan? Home > Financial News. Simplified. > Can SIP Be Regarded As A Safe Investment Plan? Systematic Investment Plan (or SIP), a mode of investing in mutual funds, has become a household name, indeed. And although 'S' also for stands for 'Sugar', it would not be safe to call SIP as a Safe Investment Plan or a Sweet Investment Plan even as the awareness about mutual funds is growing by the day. Thanks to the Mutual Funds Sahi Hai campaign. According to the Association of Mutual Funds in India (AMFI), the Indian mutual funds had 2.54 crore active SIP accounts in December 2018 through which they collected Rs 8,022 crore. These are exciting numbers considering the uncertain market conditions that prevail at present. It's a mode of investing in mutual funds in a systematic and regular manner. 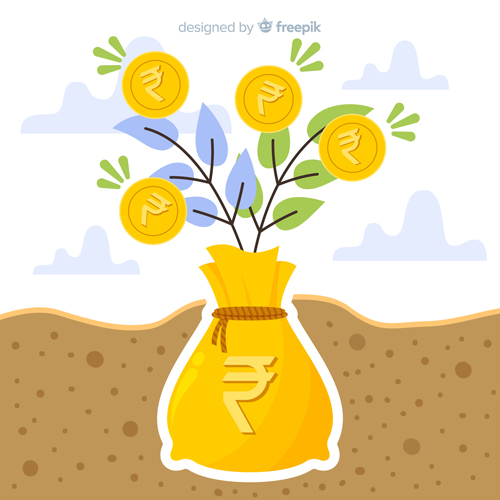 The method of investing is similar to your investment in a recurring deposit (RD) with a bank, where you deposit a fixed sum of money (into your recurring deposit account). However, the only difference here is that your money is deployed in a mutual fund scheme (equity schemes and/or debt schemes) and not in a bank deposit. Hence, your investments (in mutual funds) are subject to market risk. A SIP enforces a disciplined approach towards investing and inculcates regular saving habits, which we probably learnt in childhood when we had a piggy bank. Yes, those were the good old days when our parents gave us pocket money and we deposited savings in our piggy banks after expenditure. At the end of particular tenure, we saw that every rupee saved added up to a larger amount. SIPs work on the simple principle of investing regularly so that you build wealth over the long-term. In case of SIPs, on a specified date which can be on a daily basis, monthly basis, or on a quarterly basis, a fixed amount (as desired by you) is debited from your bank account. This is done either through a NACH/ECS mandate or through post-dated cheques, where on the chosen SIP date, the bank will debit your account and the money will get invested in the respective mutual fund scheme systematically for a specified tenure (months, years). To read more about SIPs, click here. But the question : are SIPs safe; can they deliver positive returns always? The Net Asset Values (NAVs) of mutual funds fluctuate as the value of the underlying portfolio keeps fluctuating. Therefore, technically, investing via the SIP mode cannot be construed to be safe. And since the NAVs of equity mutual funds fluctuate more, SIPs are effective mainly to invest in equity mutual funds. SIPs don't guarantee that the value of your investment won't fall in future. In other words, SIPs can't help you avoid market risks. In certain market condition SIP may work, while in the other may disappoint you. Having said that, to reduce the shocks of a volatile market, the rupee-cost averaging feature in SIPs is worthy while you endeavour to grow your wealth leaps and bounds. Your investments in mutual funds are put on an autopilot mode, doing away with the stress of timing the market, which can prove hazardous to your wealth and health. Investing a large sum of money at one go is always a high-risk proposition. What if the market heads lower? Hence, a better strategy that's often propagated is to invest smaller sums of money regularly and systematically in mutual fund units over the next few years, whereby you can accomplish your financial goals. However, as mentioned before, a SIP may not always work in every market condition. Table 1: Markets are volatile. Will SIP leave me with a happy face? Take a look at the table above. In a volatile market of 2018 had you invested Rs 2,000 every month via SIP, you would have accumulated 246.7 units fetching you a value of Rs 24,427 as on December 2018. On the other hand, had you invested a lump sum Rs 24,000 in January 2018, you would have witnessed a capital erosion. Table 2: When markets are on a dream run what does better-- SIP or a lump sum investment? If you remember, markets were on a dream run in 2017. Hence, lump sum investments made at the start of the year in 2017 would have fared well as opposed to SIPs (see table above). Also, note that the success of your investment is hinged on how prudently you select the best mutual funds to SIP and investment discipline. Make it a point to invest in the right mutual fund schemes that are in line with your risk profile, investment objectives, financial goals and the time horizon before goals befall. Should you renew your existing SIPs? No other idea can be as foolish as this - particularly now, in volatile market conditions. Be a prudent investor and do not get bamboozled by the short-term aberrations. Prolonged bull or bear phases may deter you from continuing your SIPs. Under prolonged bull phases, there's reduced benefit of rupee-cost averaging. Under prolonged bear phases, despite accumulating more units, the market value of one's investment tends to be lower than the amount invested. Focus on your financial goals and make sure you include the best mutual fund schemes in your portfolio. Plus, your asset allocation plays a pivotal role in the journey of wealth creation and accomplishing financial goals. If you are investing through SIPs, your time horizon must be five years and above. 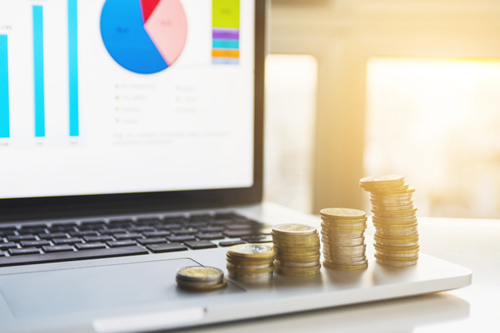 Whether markets fall or rise, you should continue with your SIPs, provided there's no deterioration in the prospects of funds you have invested in. And finally, to accentuate your returns, opt for direct plans when you invest. PS: Want to know the best mutual funds to SIP, the best tax-saving mutual funds, and lesser-known mutual funds that hold the potential to grow your wealth? Don't worry. PersonalFN is offering you three premium research reports at a price lesser than that of your favourite coffee.